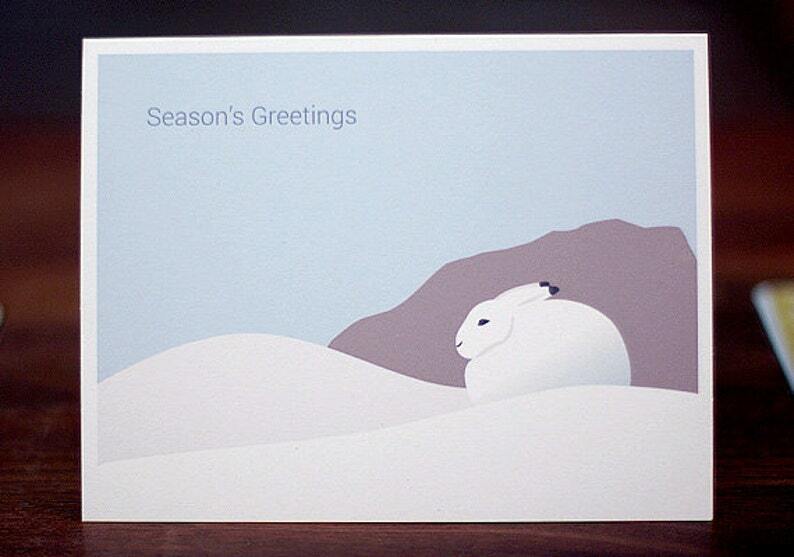 Hare snuggles up in the snow bank in these subdued holiday cards (set of 6). If you would like the front to say something else (Merry Christmas, Happy Holidays, etc. ), please note your preferred greeting in the Notes to seller area during checkout. This minimalist design is printed on 100% recycled card stock with a matte finish. Cards measure 5.5 x 4.25 inches when folded. Comes with six A2 white 100% recycled envelopes.